I have seen countless Dusky Grouse in the mountains of Colorado, but I've never seen this breeding display until yesterday. Why this bird was still displaying this late in summer I don't know (maybe it's not that unusual?). 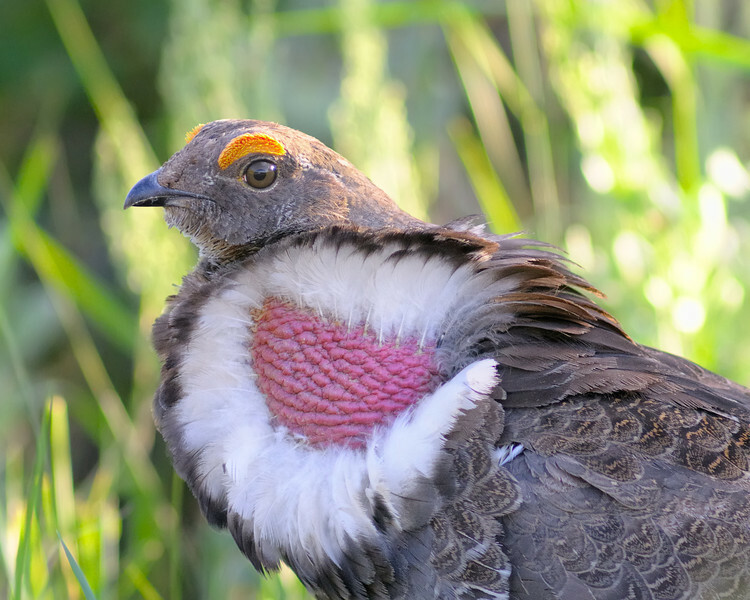 It's certainly not a common sight, this spruce-fir forest-dwelling bird is difficult to observe and it's courtship displays are not as centralized as other grouse species such as Sage Grouse. You also might know this bird by the name of Blue Grouse. It was split by the AOU into the coastal Sooty Grouse and the interior Dusky Grouse.